The first few weeks of a Fortnite season's Battle Pass are very important. It's not because the challenges go away after each week, because they don't. You actually have all season to complete the challenges each week adds. No, the reason for urgency is altogether different. You need to beat your friends to tier 100. You need to equip the Omega skin first. We get it. This is the kind of important thing that is worth grinding over. "One more match," you say at 3am, when you have to wake up for class in a few hours. Here's this week's challenges and how to tackle them. Greasy will be popular for the first few days of this week thanks to this challenge. There is a ton of chests at this location, though, so you should be able to complete this one over the course of a night or two. This will be fun. Hop Rocks are the glowing little meteorites found in spots like Dusty Divot and Tilted Towers. Just consume seven of them and jump to your heart's content. You'll need to go out of your way to deal damage with suppressed SMGs and pistols this week. Don't worry, it seems like a suppressed SMG drops from nearly every single chest on the map, so this one should be easy. Just like last season's challenge to dance in front of "no dancing" signs, this one wants you to bust a move in front of the lens like you're trying out for the newest season of So You Think You Can Dance? 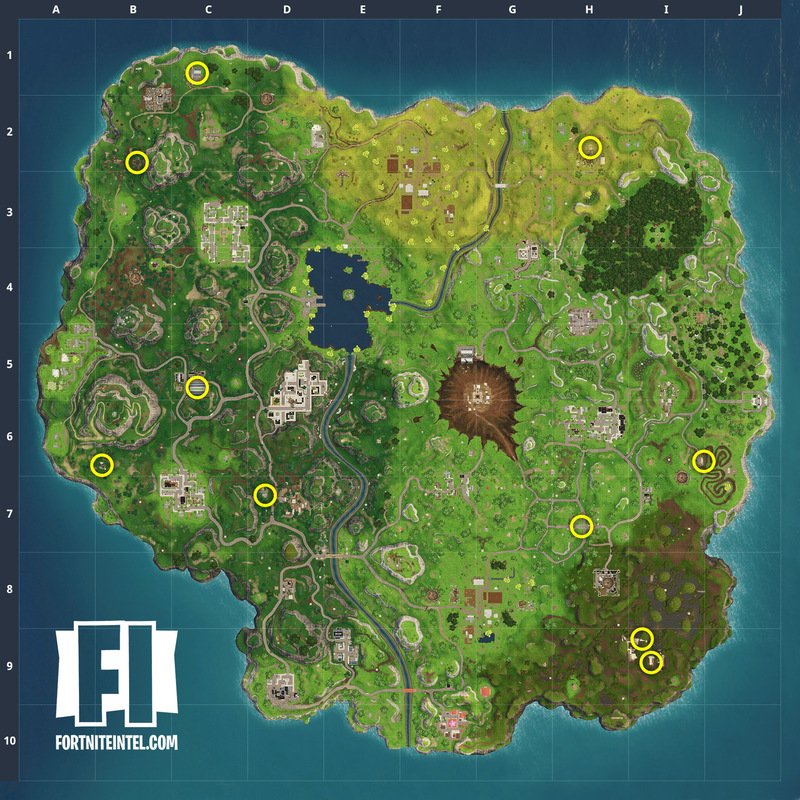 Check out the image below for camera locations. Head to a small hill directly east of Risky Reels for an easy 10 Stars. You'll need to get eliminations with grenades, clingers, a rocket launcher, a grenade launcher, or remote explosives for this one. Make sure to 'splode your enemies quickly. This one might be tough to do outside of the first few days of this week. Tomato Town is famously desolate because the loot is not that great, so try quickly landing there in Solo matches this week to get your three kills.